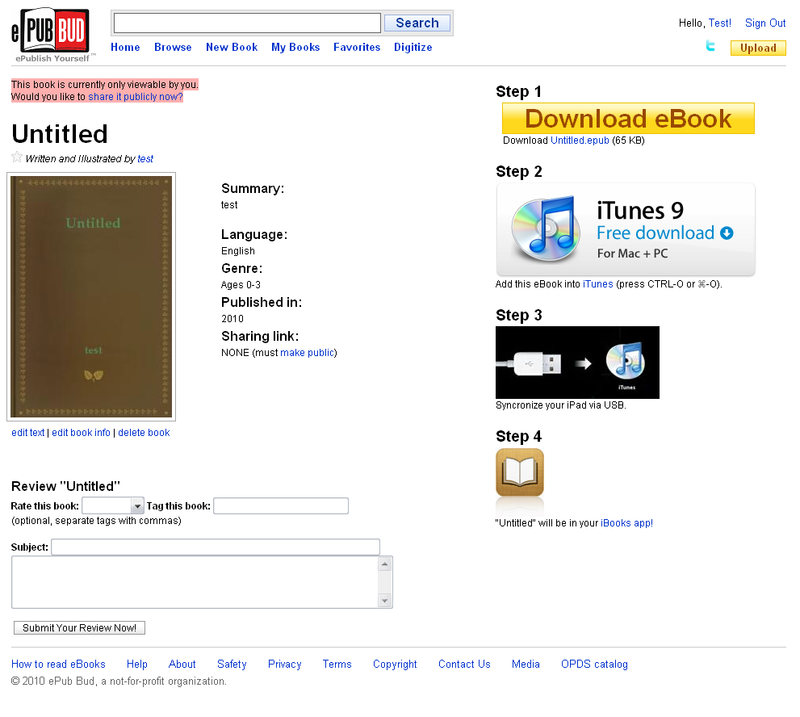 The ePub format has quickly become the standard for distributing an ebook to the masses using a digital reader. With the iPad continuing to sell well and ePub the standard for the iBook app for browsing for books on the iPad, it is important to get your book in the ePub format so you can share your ebook easily! Some companies are offering conversion of the PDF or DOC version of your book to ePub format for a fee, but a new service has popped which does all this automatically for you! The service is called ePubBud and it was designed to look like the interface of the ubiquitous YouTube. To see an example, here is Mario Lurig’s ePub book (hey, that’s me!). The site is changing regularly as features are being added, so if something is broken, you may have to come back. It should be marked ‘Beta’. The target audience is not mainstream authors, but that doesn’t mean you can’t benefit from this website! NovelRank nor I are affiliated with this website in any way. 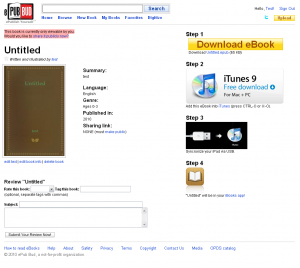 This entry was posted in Tips and Tricks and tagged ePub on June 7, 2010 by Mario Lurig. One major problem with the ePubBud site is they get to keep whatever you convert, and they get to do whatever they want with your work, under a non-revokable transfer of rights from you to them. Even if you delete your stuff and your account, the ePub book you created using their software can be sold, given away, modified, etc., for as long as they want. This is not a free service, it is a method to get thousands of free books that they can then turn around and resell to make money. You’re technically transferring a non-exclusive print/sales right to them, forever. All problems with display have been fixed. The service seems to work great! This is potentially a great resource! I tried a couple of conversions, and I noticed that they render all quotation marks as question marks. I sent in feedback, and got a personal response. They said the issue should be fixed soon.